Experience the delight of a serene marine evening on this Key West sunset dinner cruise. 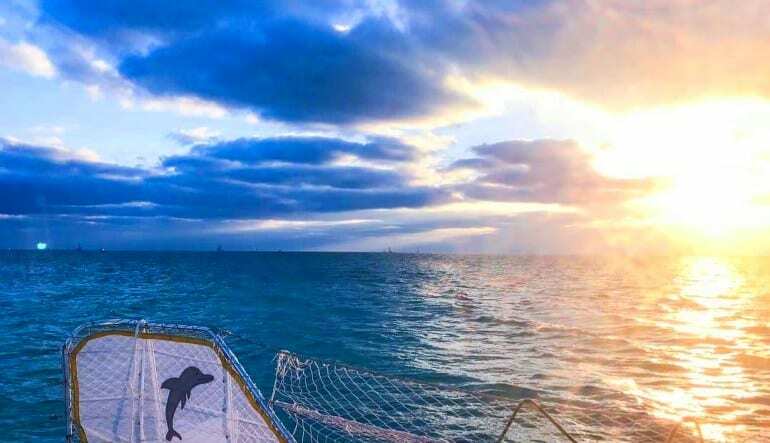 Experience the delight of a serene marine evening on this Key West sunset dinner cruise. You’ll have the best seat in the house to view the dazzling colors of a Floridian sunset, all while indulging in the delights of tropical food and drink. Your evening begins with the melodic tones of live Calypso music as you board to set out onto the blue tropical waters. Once aboard, you’ll enjoy a full tropical buffet featuring such dishes as Caribbean roast pork, deep fried plantains, fried fish, and Cuban breads. 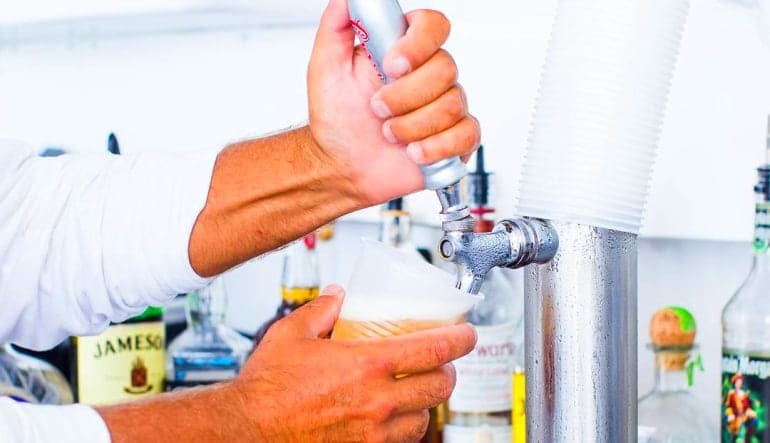 Then grab a complimentary beverage and take a spin on the air-conditioned dance floor or head up top to the upper deck to watch the sun set the Atlantic waters ablaze. Turn an ordinary Florida evening into an extraordinary memory. Partake of some of the best sights, sounds, and tastes Key West has to offer on this sunset dinner cruise!